Fed up with the mainstream media? Support radical, challenging, independent media instead! 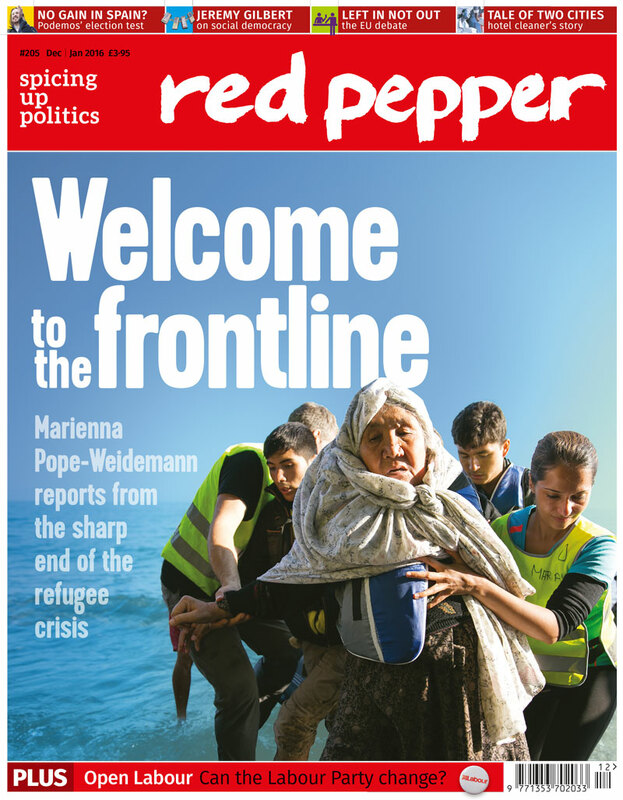 Start your subscription to Red Pepper – the magazine at the heart of the movement – today. £2 a month is our lowest monthly subscription (this rate is UK only). This option makes the magazine as affordable as we can for students, pensioners and unwaged people. 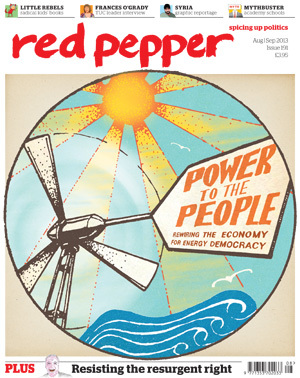 £3 a month gets you a subscription to Red Pepper, and helps support the production and distribution of the non-profit magazine by giving more than the minimum. Please note that, because of postage and other costs, there is currently a minimum of £2 UK and £3 international. 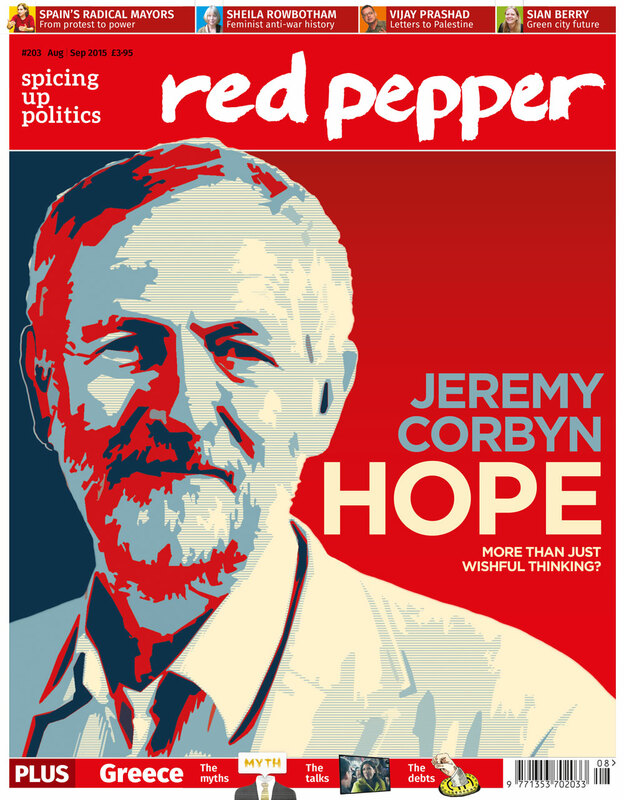 Red Pepper is a quarterly magazine and website of left politics and culture. We’re a socialist publication drawing on feminist, green and libertarian politics. We seek to be a space for debate on the left, a resource for movements for social justice, and a home for the diverse voices that make up our movement. 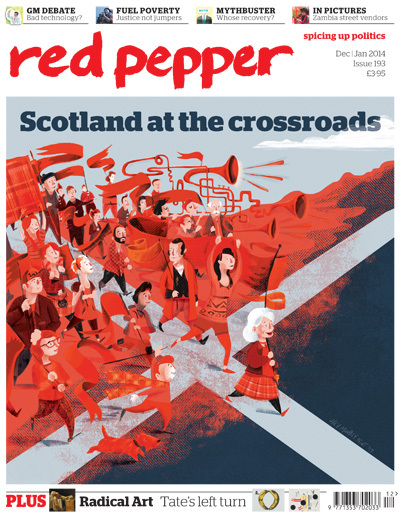 Red Pepper seeks to help build open-minded, dynamic movements which can fundamentally challenge our society, with its systemic injustice, structures of power and oppression and tendency towards war and environmental destruction. We believe by providing a platform for radical voices, we can contribute towards building a movement that can provide a progressive and just vision for how society could and should be. Although based in London, Red Pepper strives to cover events and perspectives across both the UK and the rest of the world. We're a non-profit magazine that operates on a shoestring. We think the left needs a publication it can call its own. Something that can be bold in its opinions yet open to difference, radical but not committed to any ideology, a magazine that can amplify the voices of the unheard and educate us to become better collectively. If you think so too, please consider becoming a subscriber, and be a part of our project to change the world for the better.